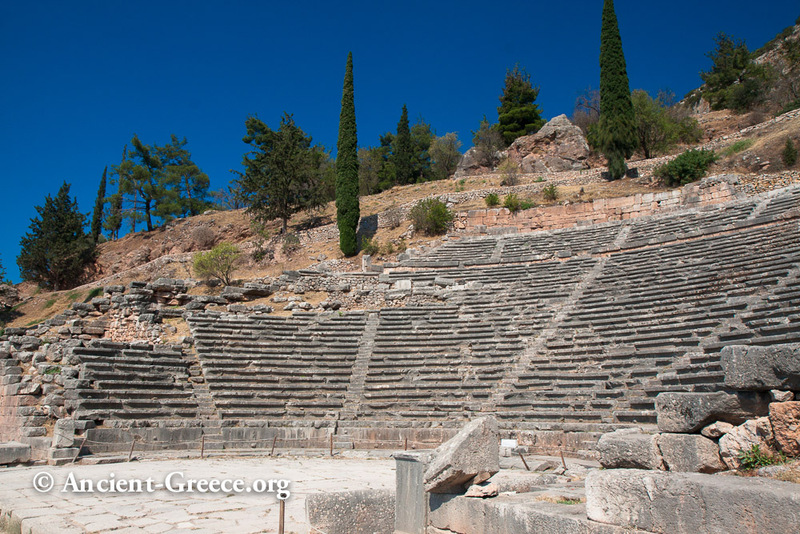 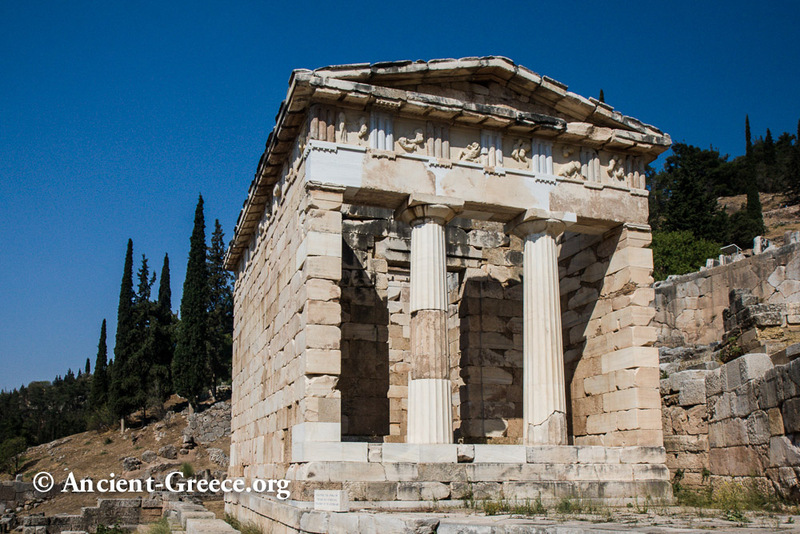 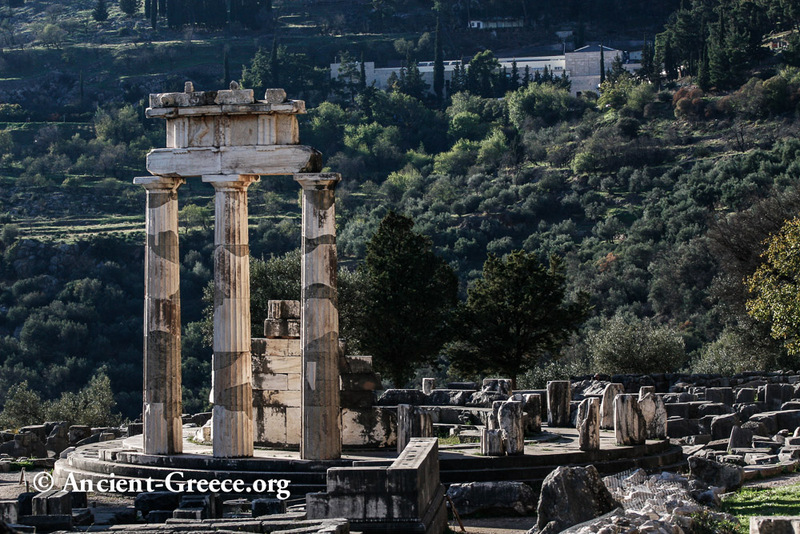 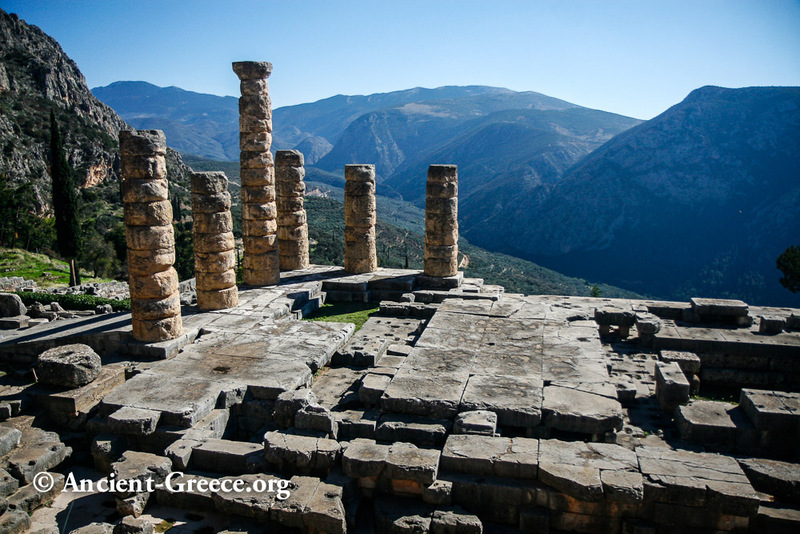 The archaeological site of Delphi is one of the most important one in Greece, second only to the Acropolis of Athens. 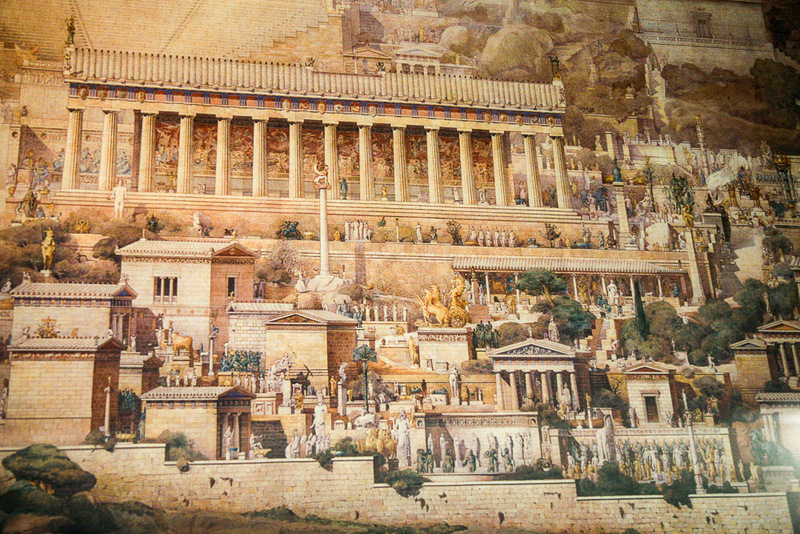 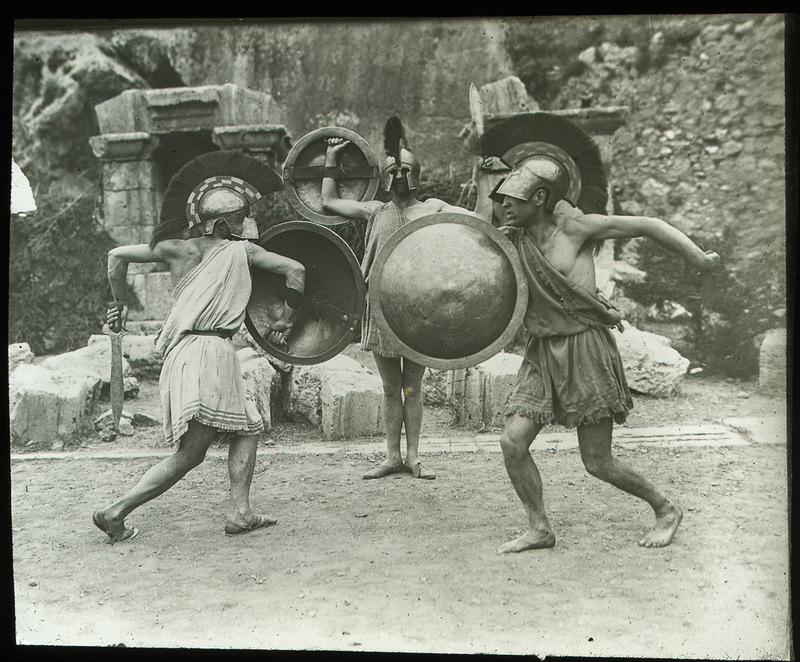 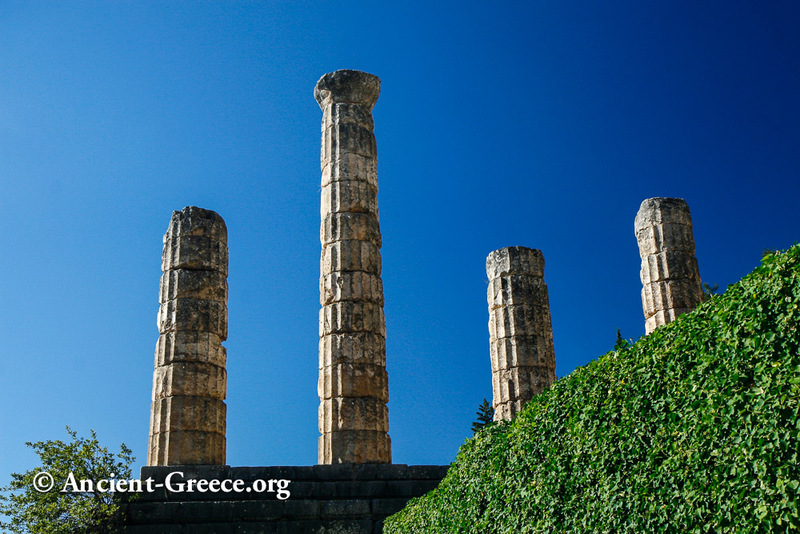 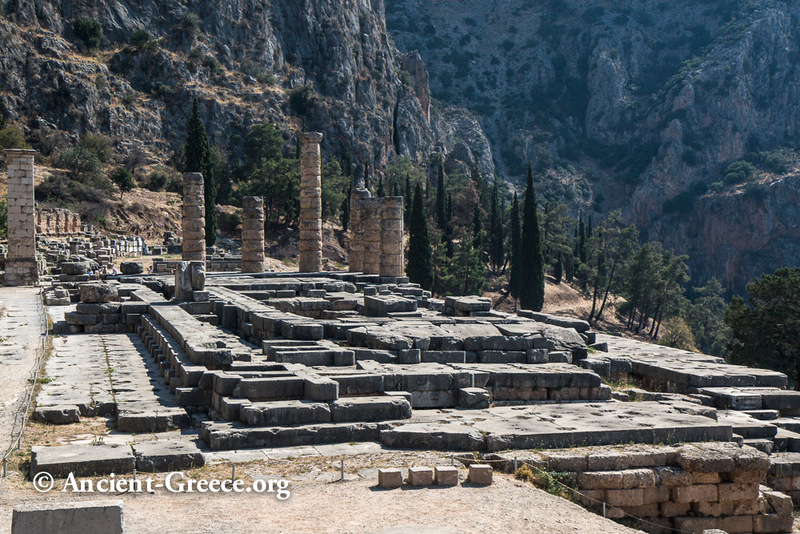 The magnitude of the Delphi contributions to the entire ancient civilization cannot be overstated. 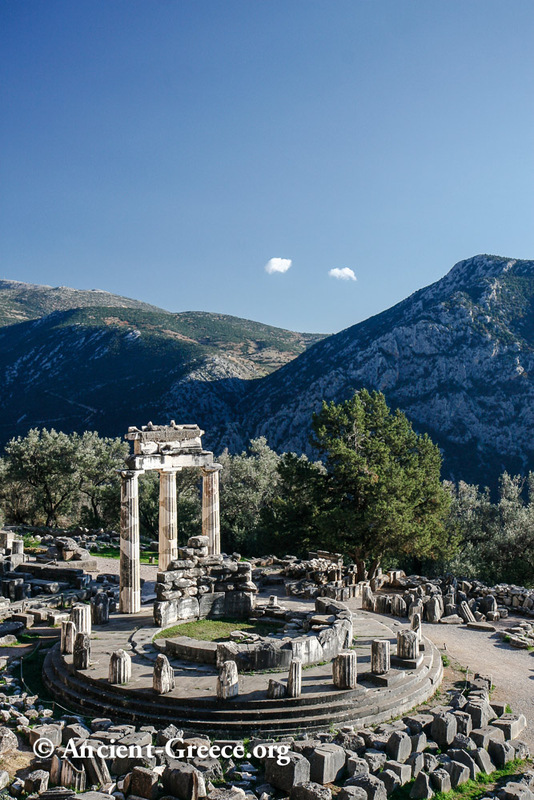 Many political decisions were taken after consultation of the Oracle, and no colony was founded around the Mediterranean without the consent of the sanctuary at Delphi. 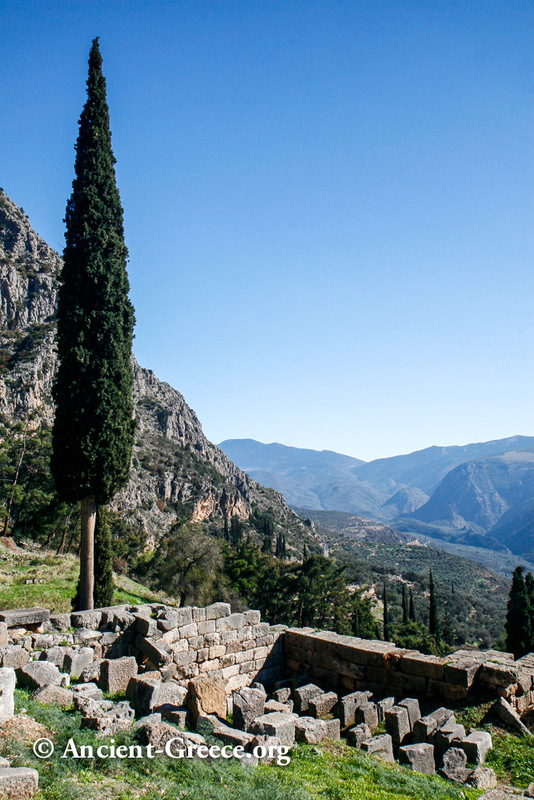 In proportion with its immense influence, the settlement at delphi grew from a small village to a imposing depository of fine Architecture and Art. 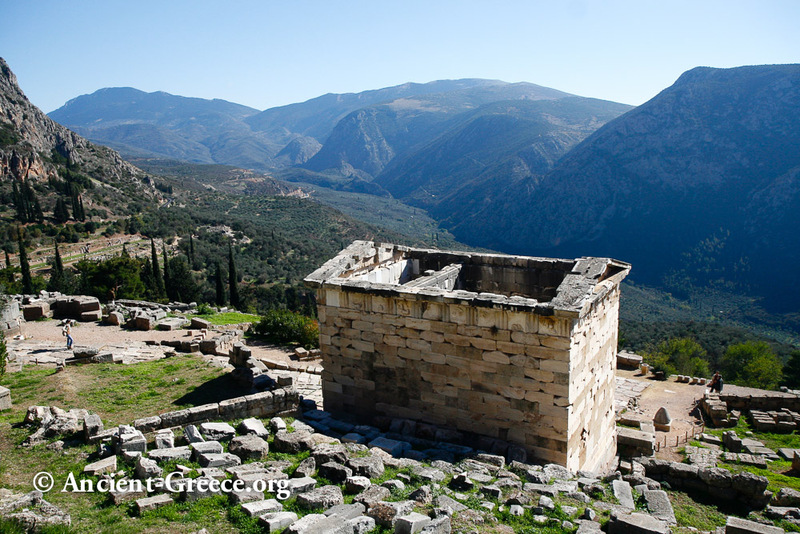 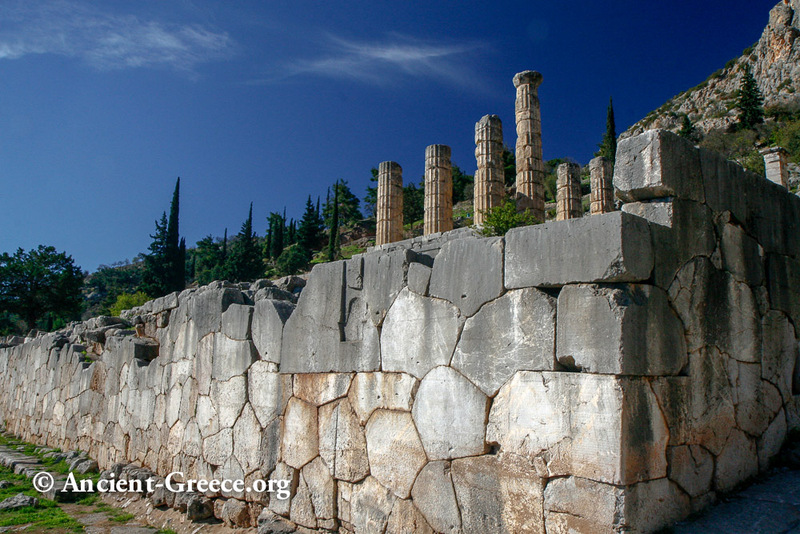 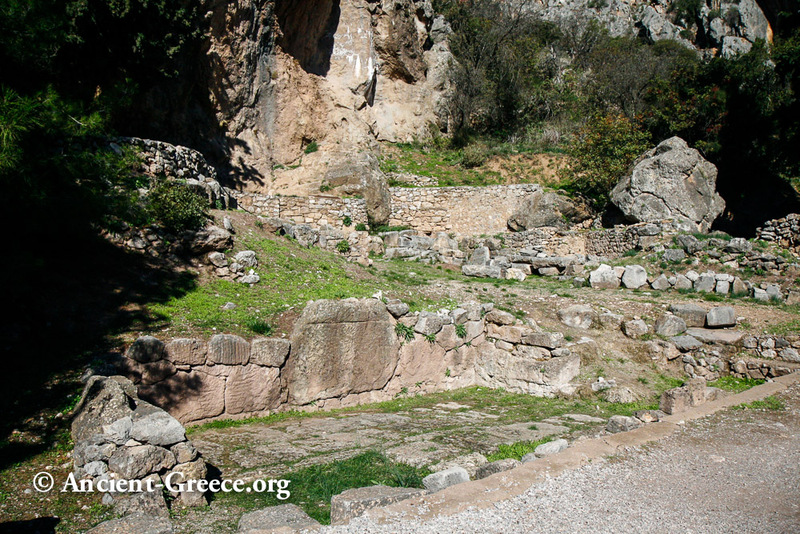 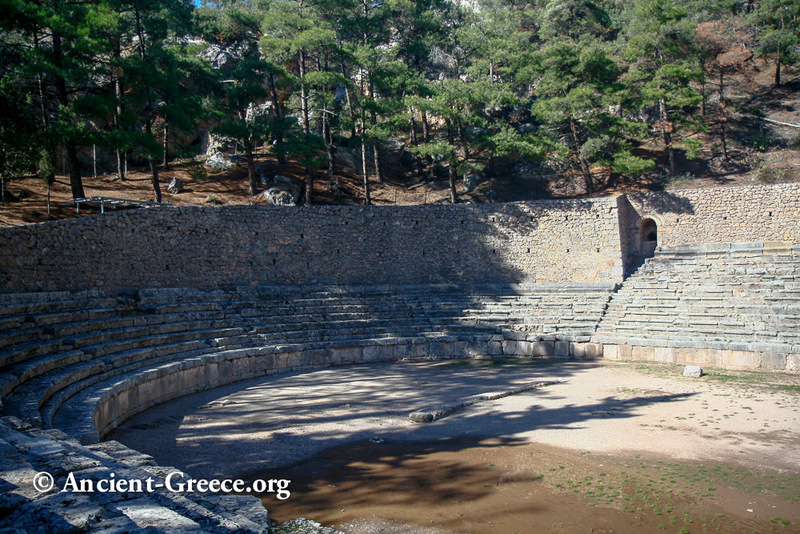 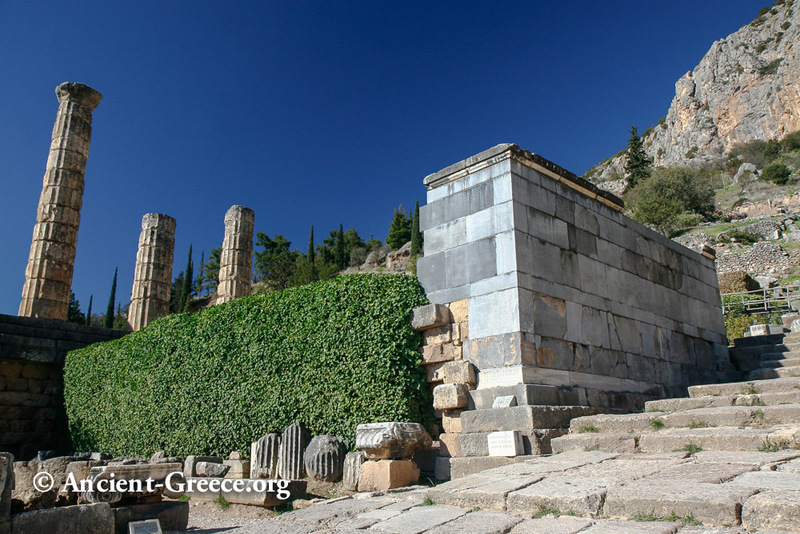 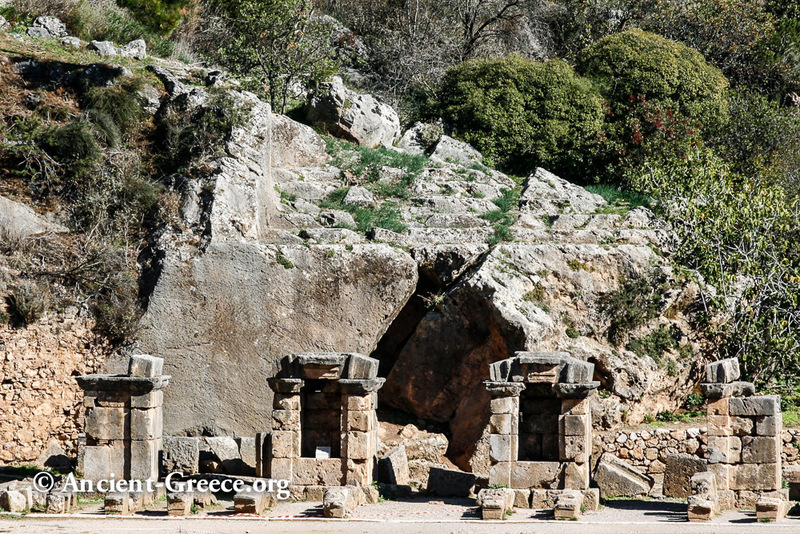 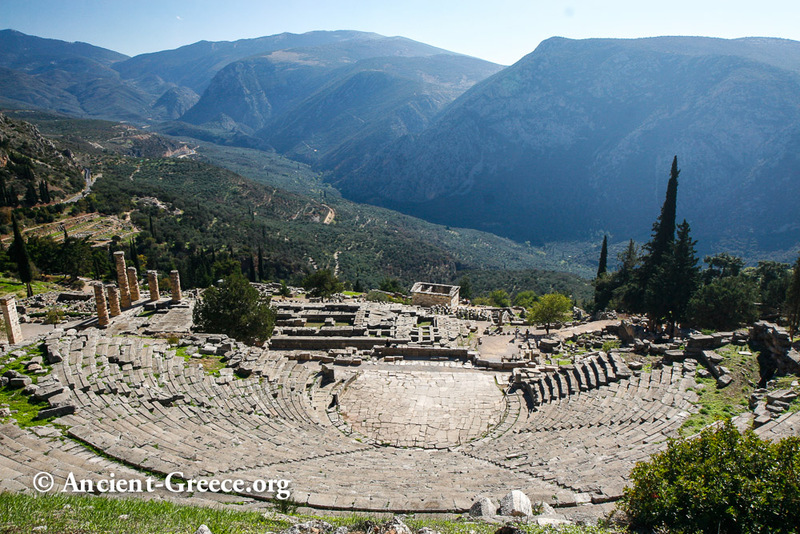 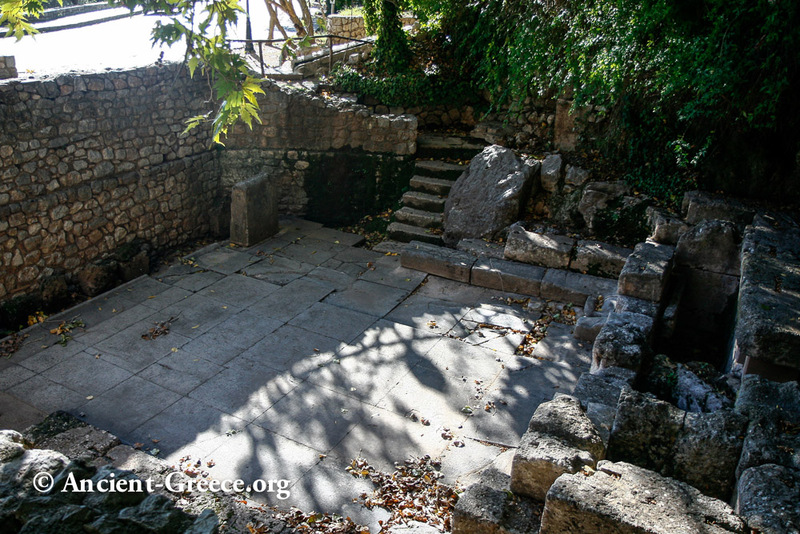 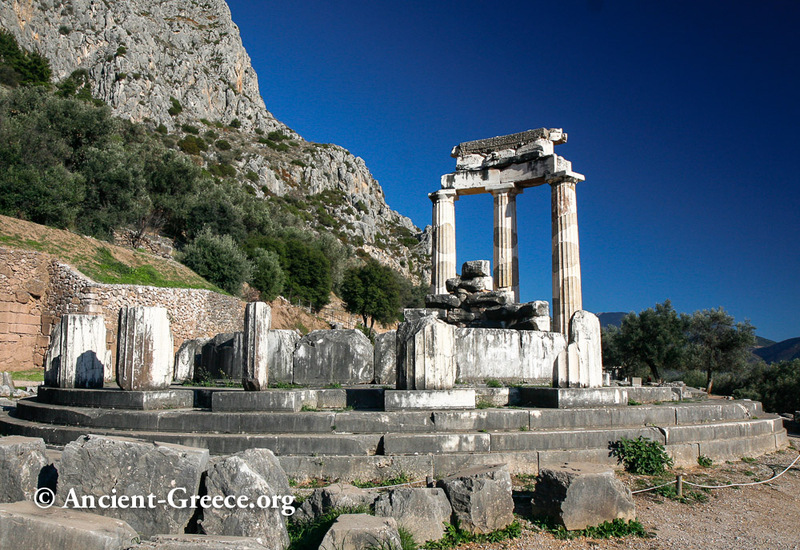 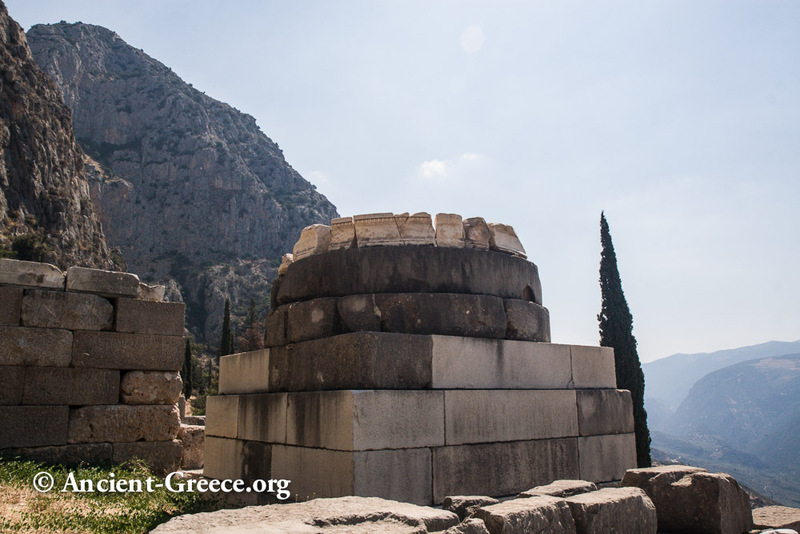 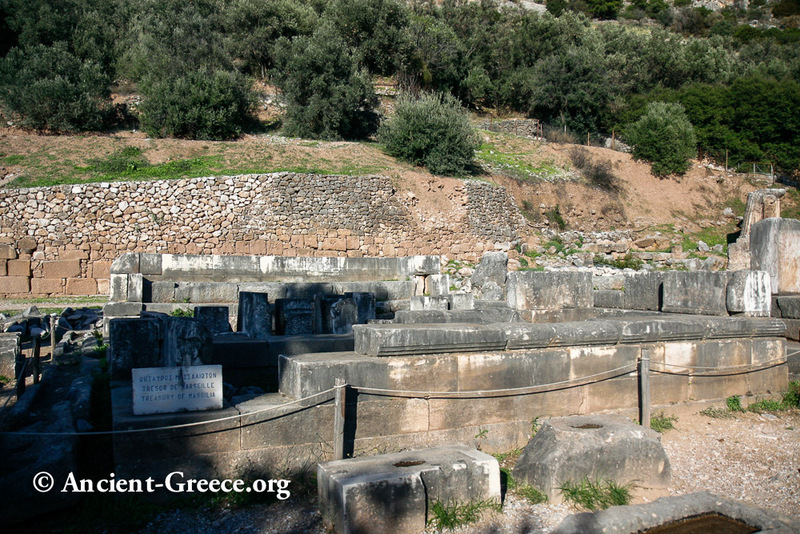 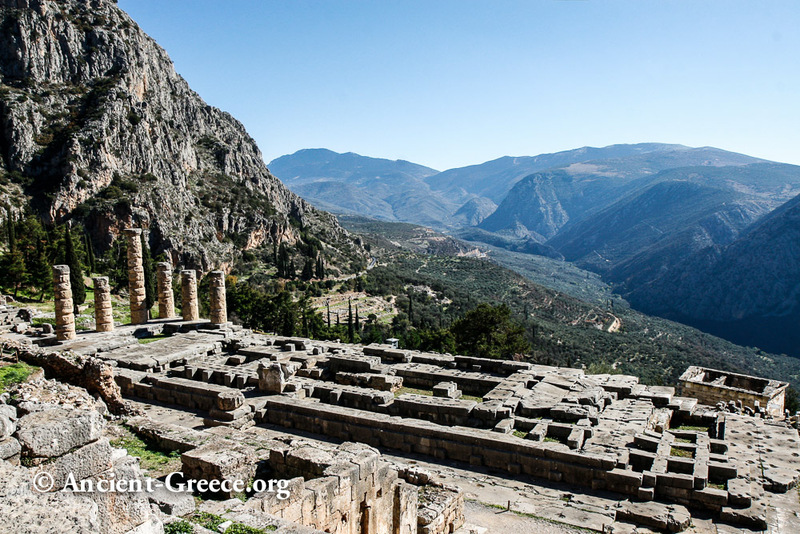 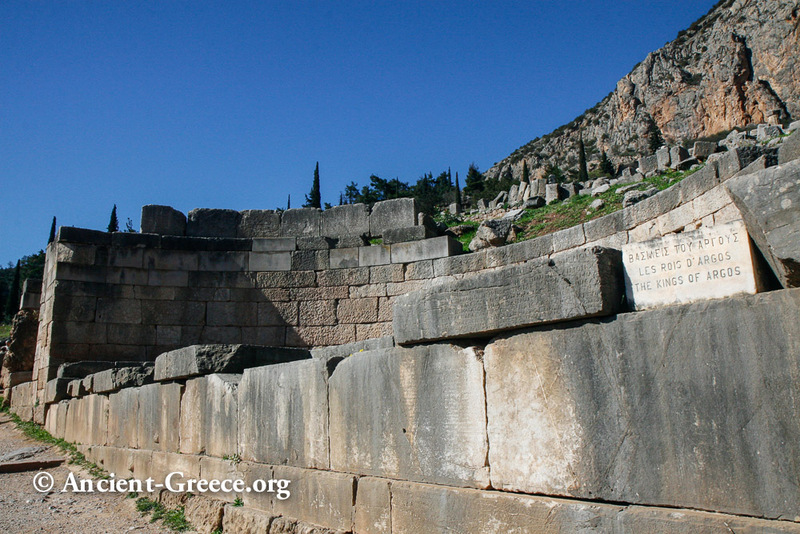 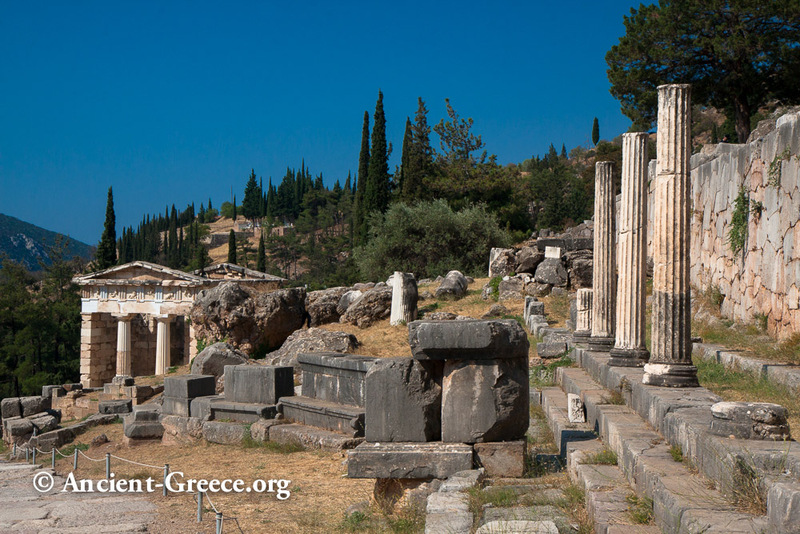 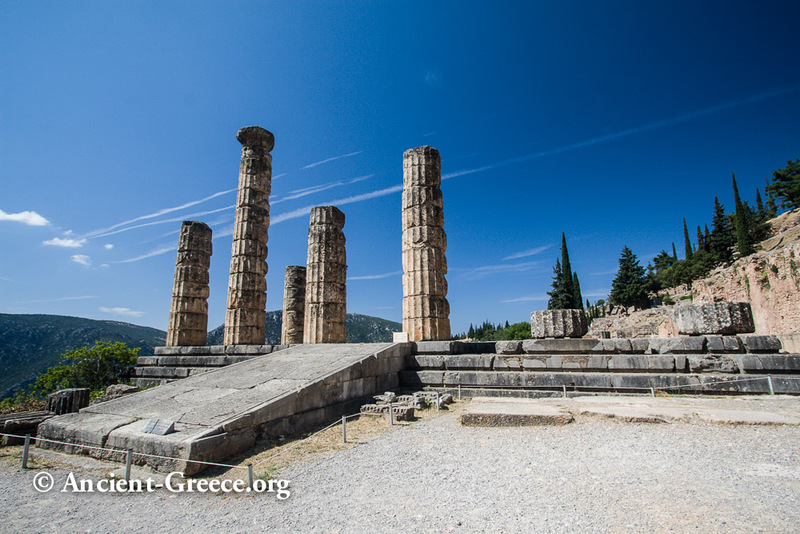 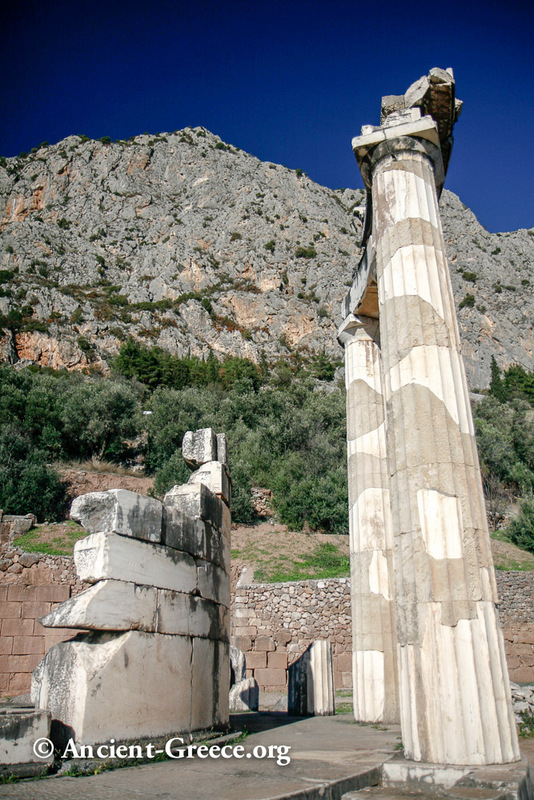 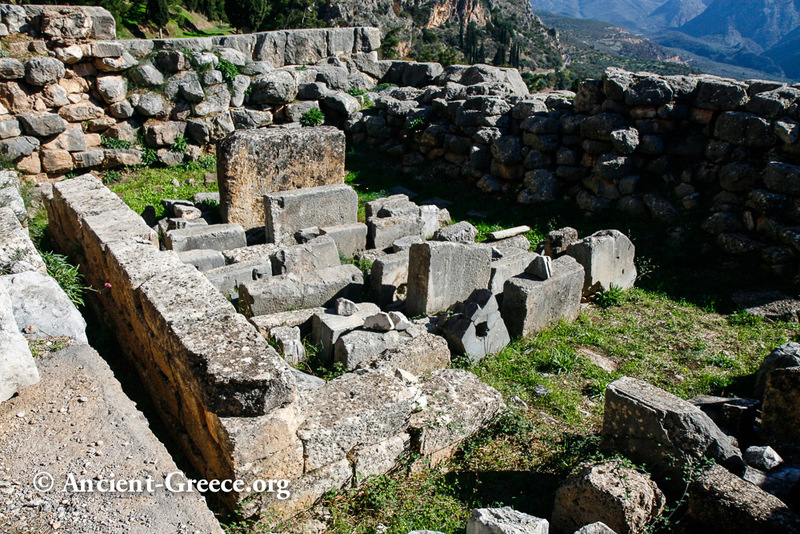 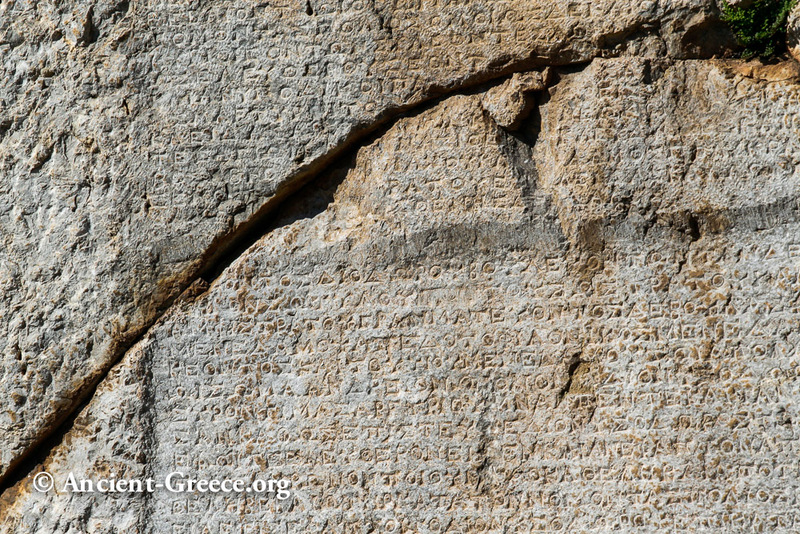 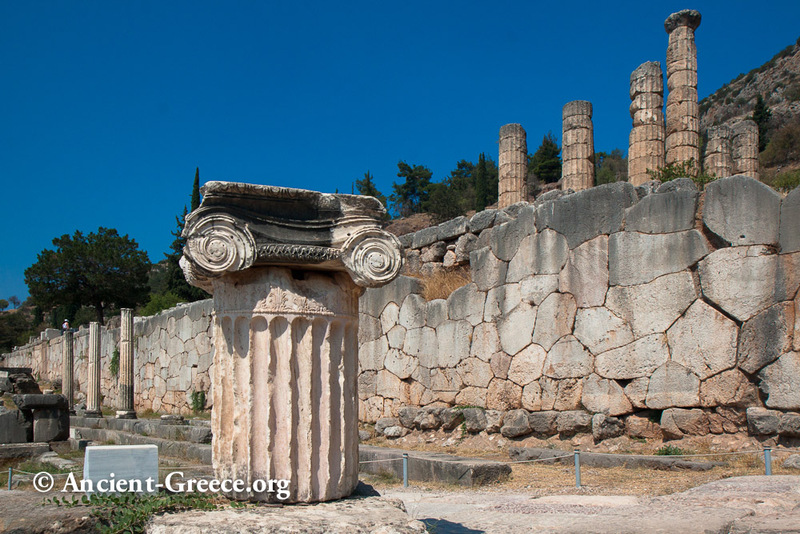 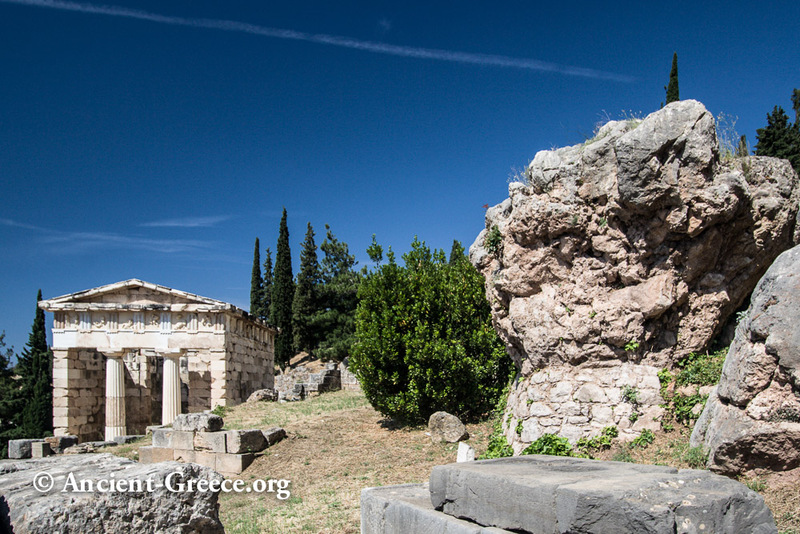 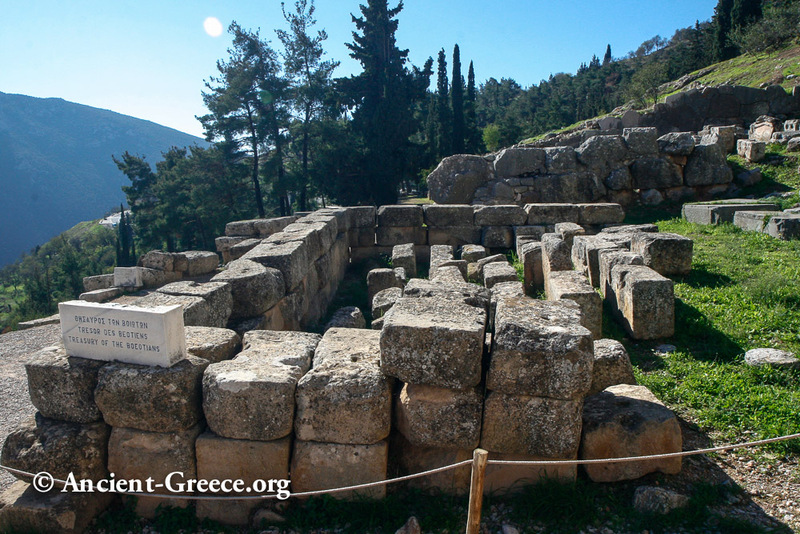 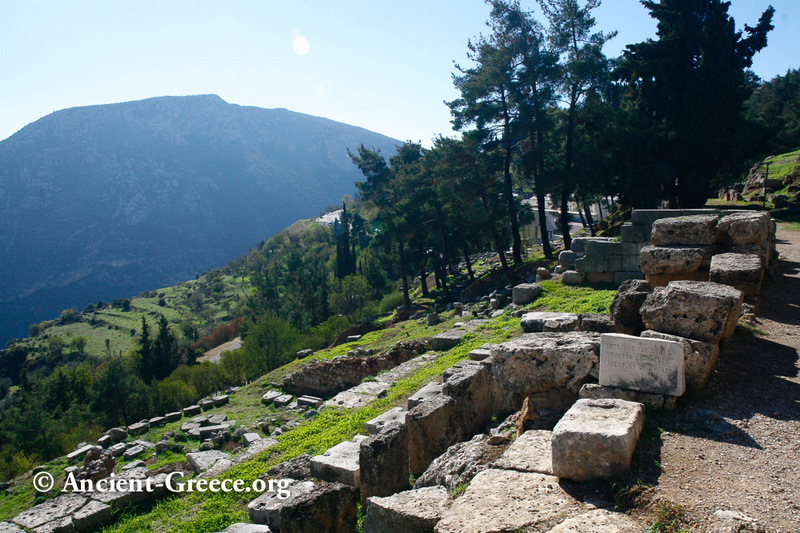 At the Delphi sanctuary excavations have unearthed settlements that date as far back as the Neolithic era. 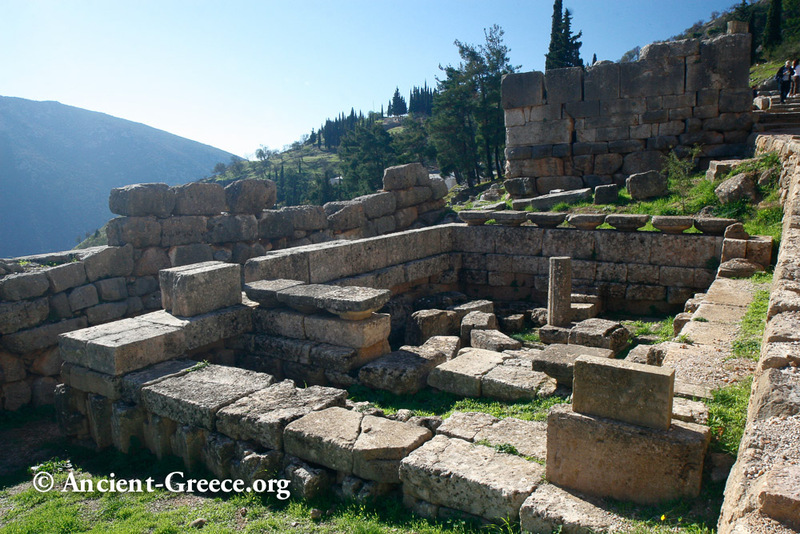 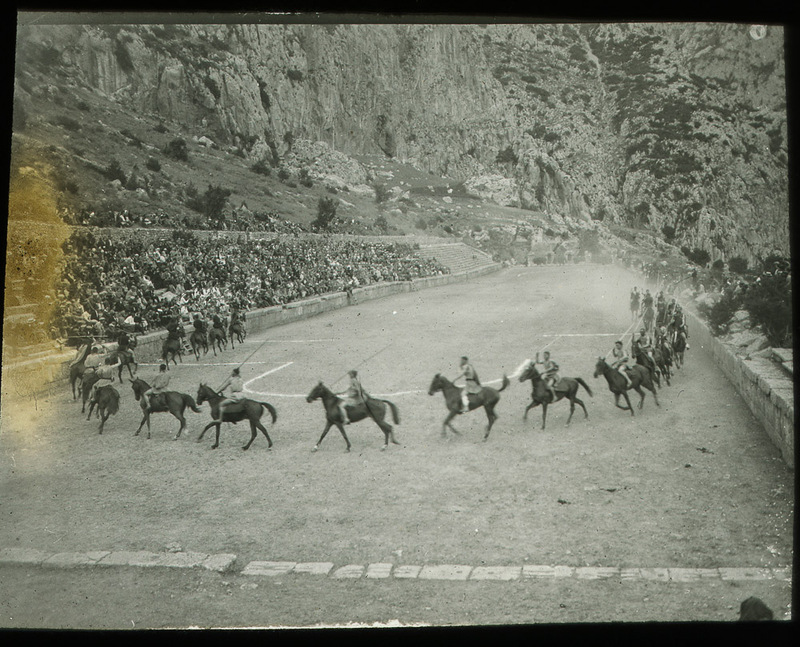 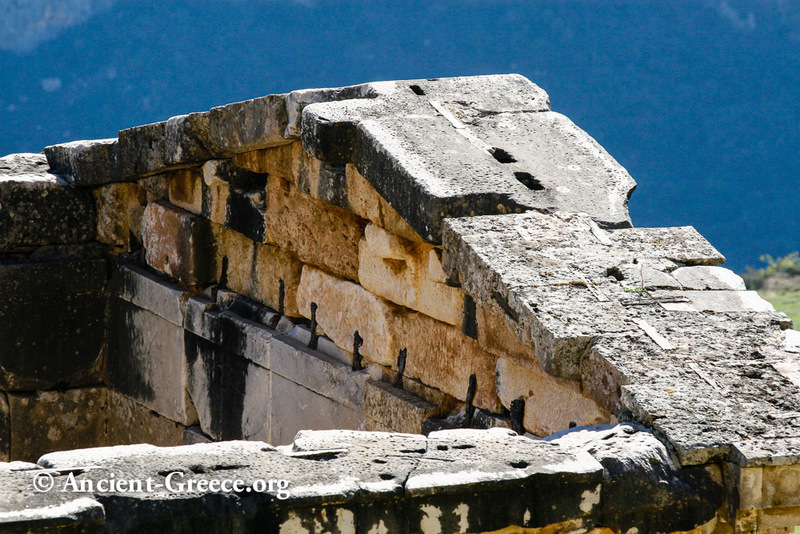 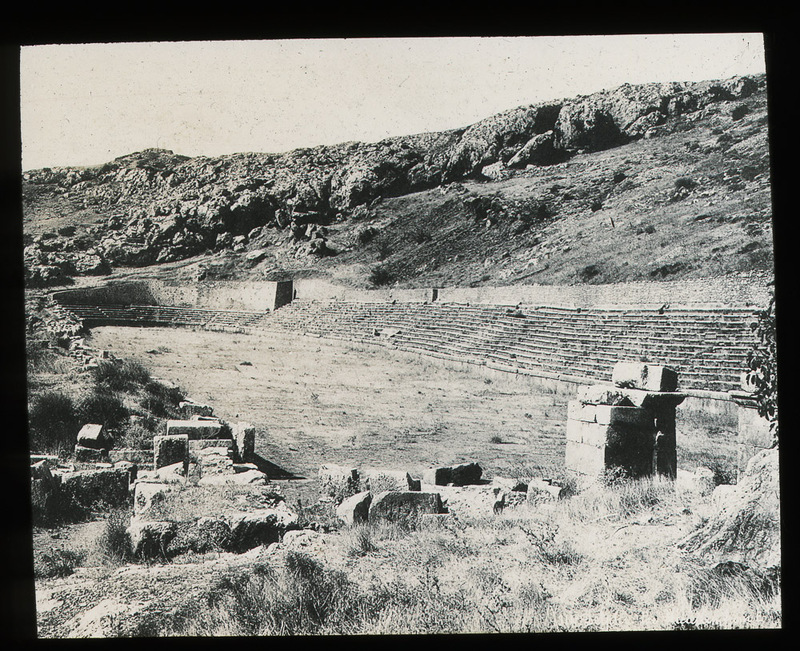 However evidence of the site's importance dates back to the Mycenaean period (1600-1100 B.C). 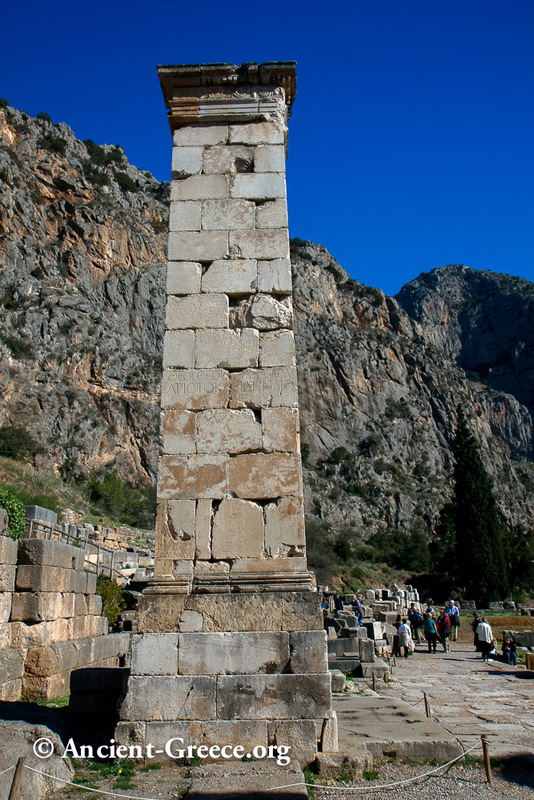 Most of the ruins that survive today are witness to the site's pinnacle which was reached in the 6th c. 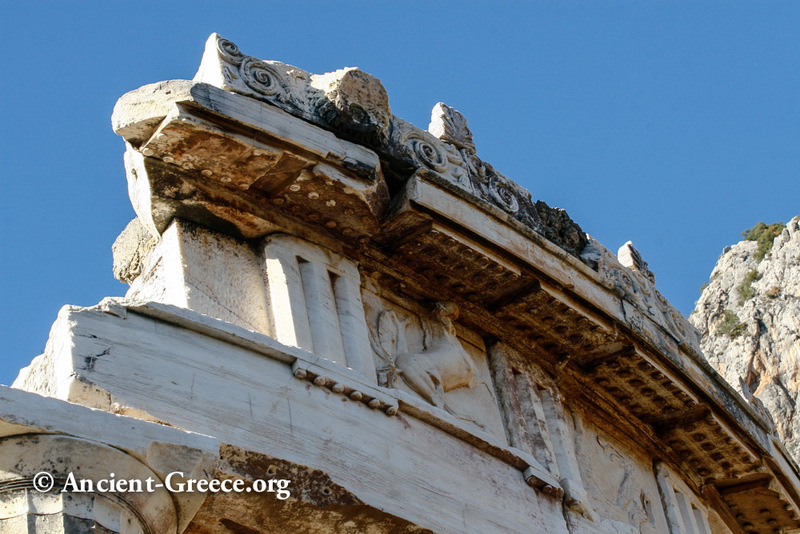 B.C., and are testament to the diverse cultural influences that hovered over the sanctuary for a nearly a millennium. 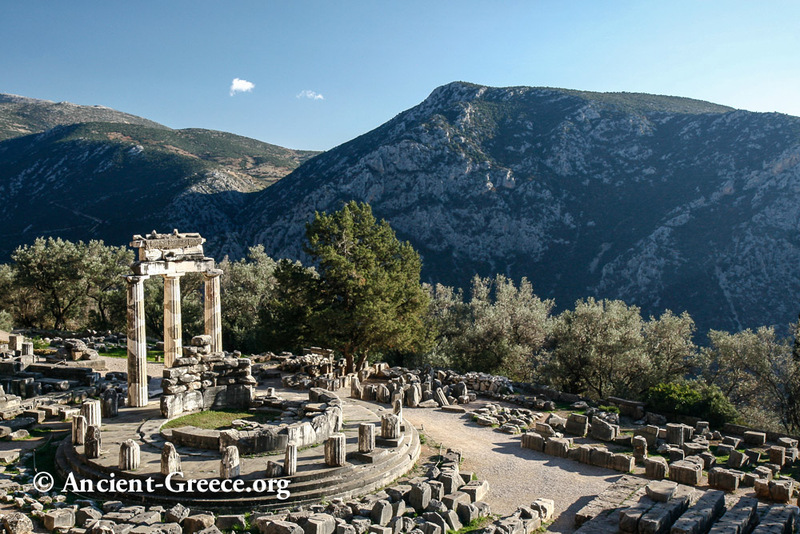 The functions of the Oracle of Delphi grew over the centuries to include athletic games and cultural events and Delphic festivals, the most important of which was the Pythian Games which were held every four years in memory of Apollo's slaying of the Python Dragon. 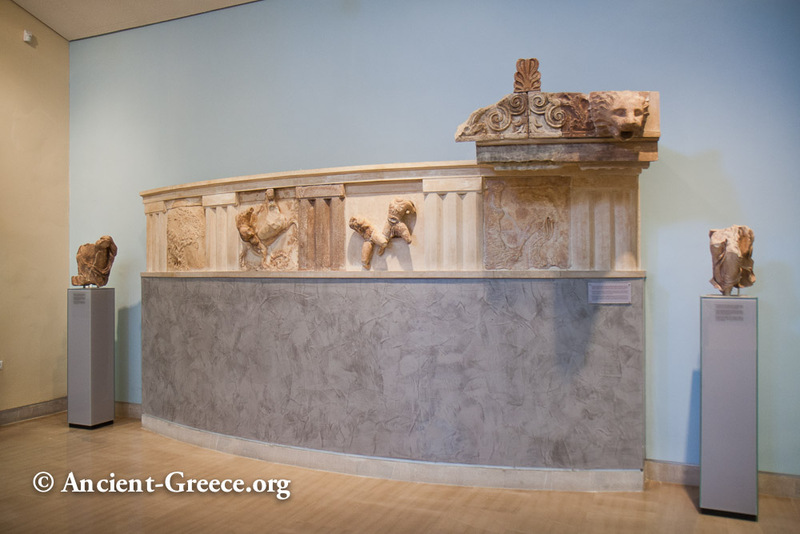 To accommodate the gratitude that each city/state was eager to express, and all the cultural affairs, the sanctuary evolved to include major temple complexes, a theater, a stadium, and a number of ornate treasuries. 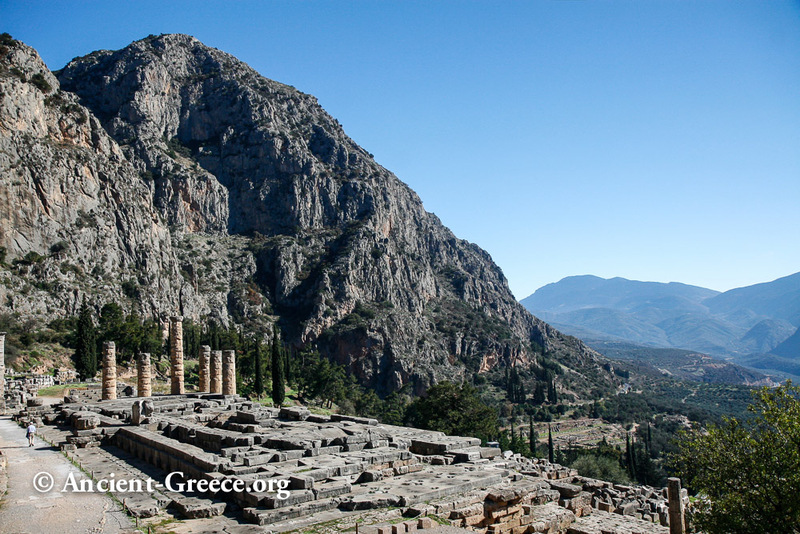 Some of the most prominent edifices on the sacred slopes of Delphi are the temple of Apollo, the ancient theater, the stadium, the sanctuary of Athena Pronaia with the Tholos, the Kastalia spring, and the various treasuries that adorn the sacred way. 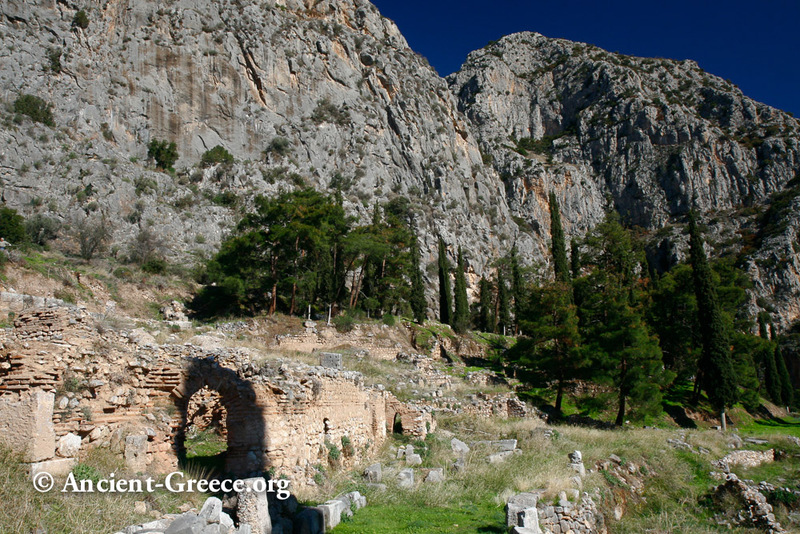 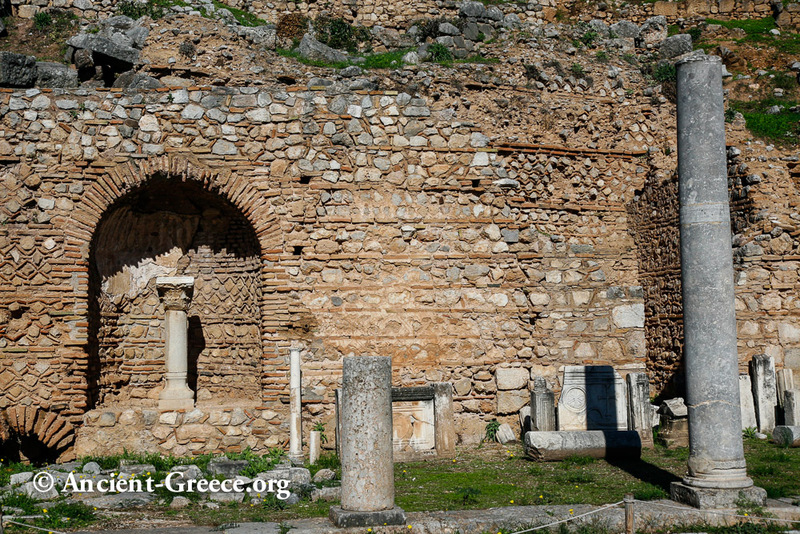 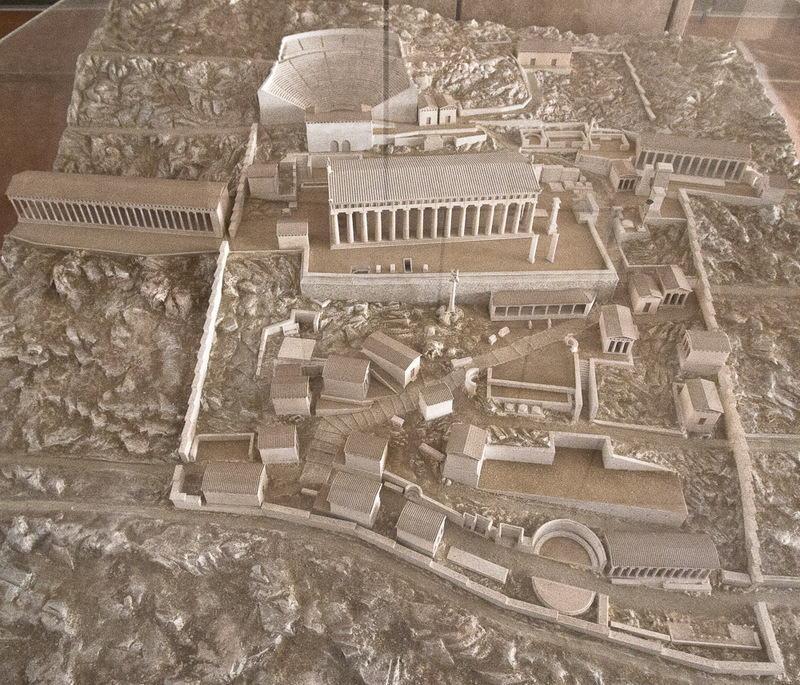 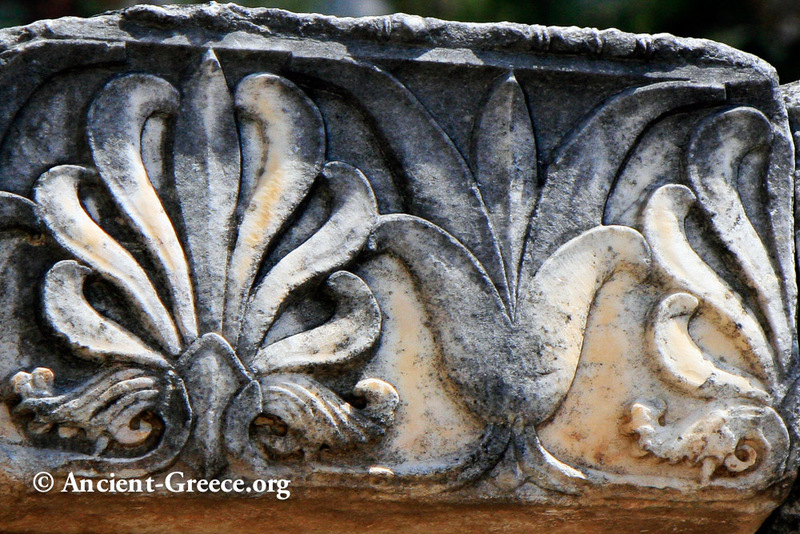 The archaeological museum on the site contains many important ancient Greek artifacts from the excavations at Delphi. 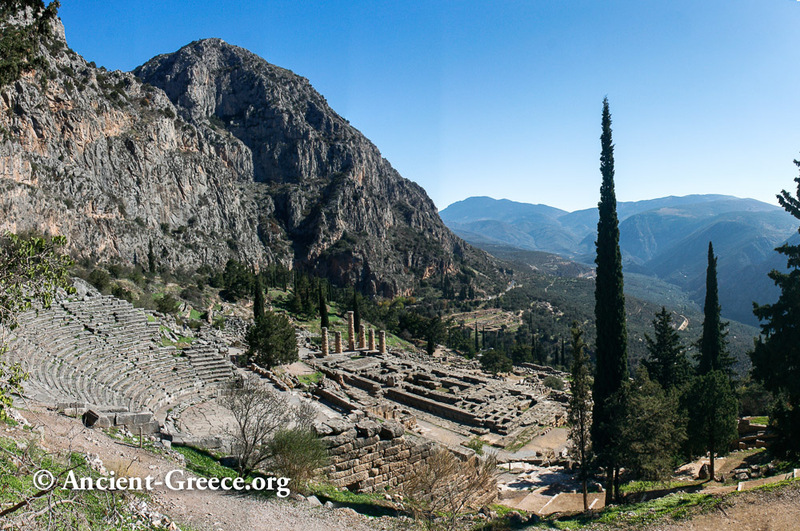 The beautifully rendered mural and a well crafted maquette in the Delphi museum, show what the oracle looked and felt like in ancient times.